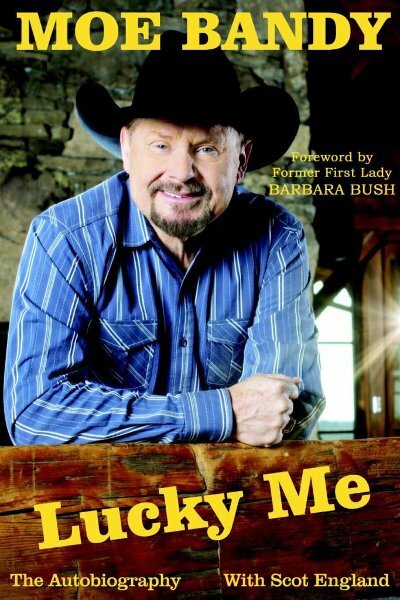 Moe Bandy’s highly-anticipated autobiography, Lucky Me, is set to release January 26, including a foreword written by former First Lady Barbara Bush. Told in Bandy’s own words, Lucky Me includes backstage stories of other country music legends, the tale of the duo “Moe and Joe”, his battle with alcoholism, his love of the rodeo and details of his 30 year friendship with President George Bush and First Lady Barbara Bush. The deluxe, hardcover Lucky Me includes 200 rare photos from Moe’s personal collection. Moe Bandy’s country music accomplishments are many, including 10 #1 songs, 40 Top Ten hits, 5 Gold Records and numerous ACM and CMA Awards. He started his recording career while he was a sheet metal worker in San Antonio, Texas, but after a decade of hard labor, Moe Traded his sheet metal for Gold albums. In the mid-seventies when the country pop Kenny Rogers, John Denver and the outlaw sound of Waylon and Willie was all the rage, along came the traditionalist Moe Bandy.